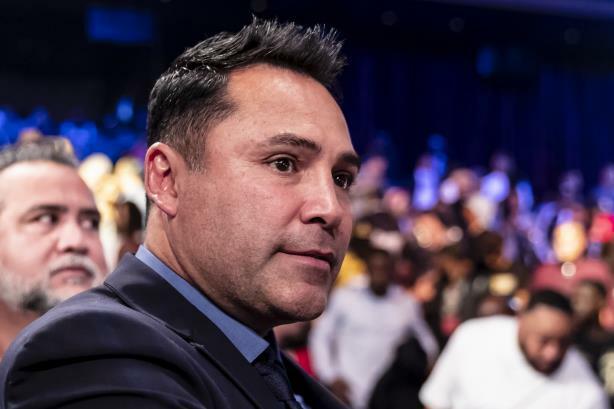 The agency will help to relaunch Golden Boy's brands and boost the prominence of founder Oscar De La Hoya. LOS ANGELES: Golden Boy Promotions has chosen Havas Formula as its AOR. The boxing promotion company brought on the firm at the end of last month. Golden Boy issued an RFP in October after the company closed a deal with Dazn, a sports-streaming service that bills itself as an alternative to pay-per-view, said David Tetreault, EVP of media and entertainment at Golden Boy. Tetreault declined to name Golden Boy’s previous PR firm, which it did not invite to re-pitch. "We left amicably," he said. Tetreault said the Dazn deal was the turning point that prompted the search for a new firm. "After we brokered our deal with Dazn, it turned [boxer] Canelo Alvarez into the highest-paid athlete on the planet, and it transformed the business in the way we were going to be presenting the Canelo fight [vs. Rocky Fielding]," Tetreault said. "We realized we needed to take a look at Golden Boy as a whole and at [De La Hoya’s] celebrity as a whole. So we began searching for an agency to take us to the next phase of where [he] wants the company to go, and that’s not only a great sports boxing-promotion company but also a formidable media company." Havas was one of three agencies invited to participate, Tetreault said. He declined to name the others but said they were both from major holding companies. Havas got the nod, Tetreault said, because its senior leadership, including CEO Michael Olguin, committed to day-to-day involvement with the account. "That was a big factor," he said. "Throughout my career, I’ve managed a number of agencies when I worked at Fox, Warner Brothers, or Sony Pictures, and a lot of time, you get the greatest pitches in the world and next thing you know you’ve got 22-year-olds working on the account. That was something that [Olguin] and his team assured us wouldn’t happen, and so far we’re very happy with the decision." Tetreault said Golden Boy’s goals include reestablishing itself as the top boxing promoter and becoming a broader media company. "First and foremost, we definitely want to reassert ourselves in the boxing space as the top promoter on the planet," he said. "We really want to do that by utilizing the top sports media out there from ESPN to Fox Sports to Sports Illustrated to all the great newspapers,"
He added that De La Hoya also owns Ring magazine, which was established in 1922. Havas will work to expand De La Hoya’s media presence beyond the boxing and sports worlds and onto mainstream outlets such as late-night talk shows. Tetreault said Golden Boy and Havas are auditing its platforms, and planning a new approach. While Golden Boy is focused on the May 4 middleweight unification fight in Las Vegas between Alvarez and Daniel Jacobs, Tetreault said it is also planning to hold a major rebranding event before the end of the year.